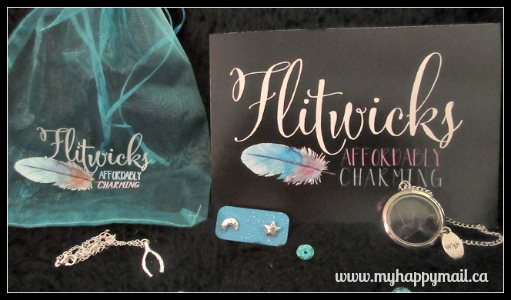 Flitwicks Box is a brand new jewelry subscription box. 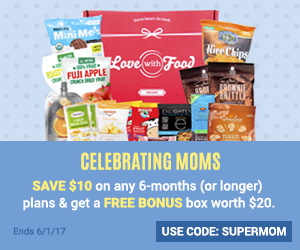 Each month you’ll receive 3 pieces of high quality jewelry curated around a specific theme. This is the first box from Flitwicks, the theme for this month is Wish. 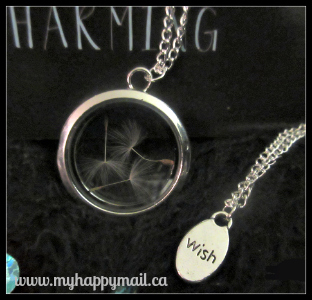 The first item in the Flitwicks Box was this gorgeous wish floating locket. Inside the locket holds three dandelion wishes. It also opens up so we can change the contents whenever we like. Alongside the locket is a cute little wish charm. I remember making wishes on dandelions as a kid so this item is perfect! 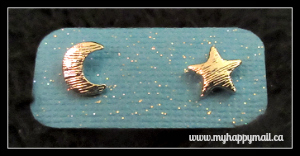 The second item in the Flitwicks Box were these Moon and Star stud earrings. I love studs for everyday use and these ones are very cute. I received a Wishbone necklace in one of my Wantable Accessories boxes earlier this year and this bracelet matches it perfectly. I appreciate that its adjustable, I like how these types of bracelets look with watches. Flitwicks did an excellent job curating the first box. All of the items go perfectry with the ‘wish’ theme. For $12 the quality of the items we received was very good. It says Affordably Charming right on the box which is the perfect way to describe this box. The next box is Autumn themed and should be equally charming. What do you think of Flitwicks Box? 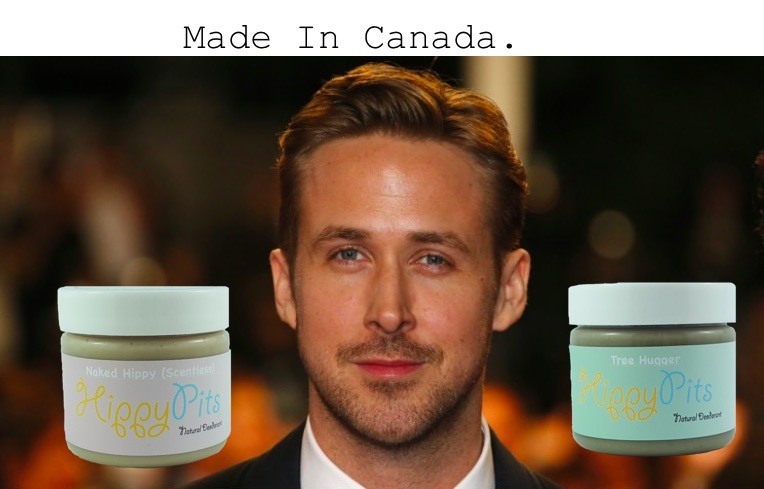 You can click here to visit the Flitwicks site. 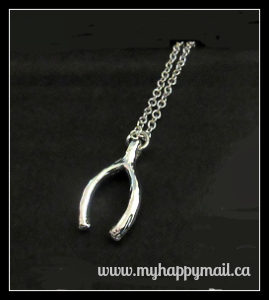 My fave is the wishbone bracelet too! I love the wish necklace. Thank you for sharing your review with us. Omgosh this is my favorite one yet!! What a fun theme and what gorgeous jewelry pieces!